im going to put some Interco 9x32-16 tires on some stock 16 inch wheels. Im looking to put inner tubes inside for safety. Does anybody know of a source of tube to fit these rims? I understand they have offset stem holes so a tube might be hard to find in this size. I thought I’d ask you guys instead of searching and calling for hours. '48 2a - '46 2a - '54 3b - '70 cj5 and a bunch of accessories. Found some on eBay. 700 750 -16 with tr15 stems. Just got educated on tubes, didn’t know much about them. im going to put some Interco 9x32-16 tires on some stock 16 inch wheels. Im looking to put inner tubes inside for safety. Can you elaborate on your concerns about safety? I’m running the Interco 9x34-16 on stock 16” wheels with no inner tubes. Tin Badge on here is running the same setup as well. 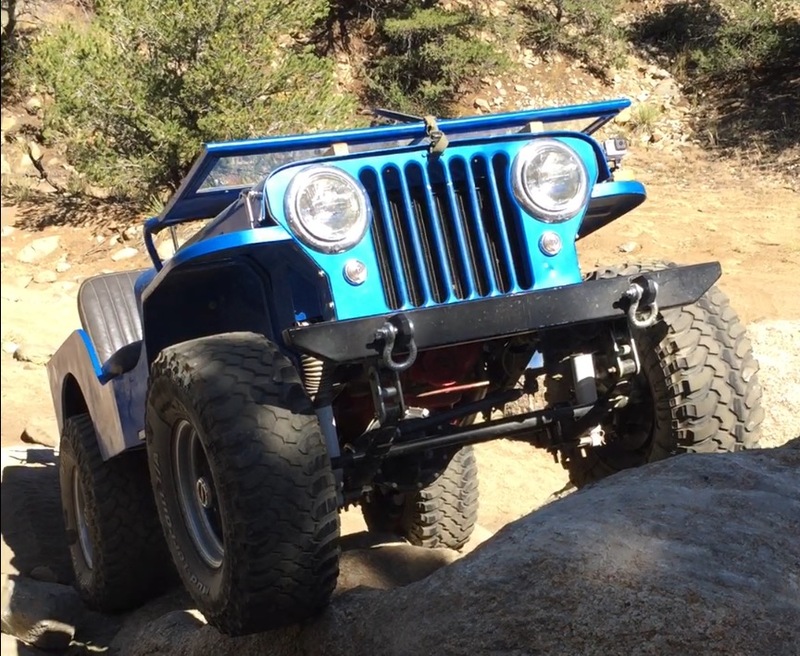 I haven’t had any issues running these tires without tubes even at Willys highway speeds. Just cheap insurance I guess. I was on the thought pattern of having to air down a bit to get the crown out of the center of the tread. Also if I hit a stump or rock the bead will stay on. I did get my tire selection from you guys. I run my Intercos at around 20 psi on the street. No crown on the tire at this pressure. Sometimes I even run 30 psi, but I don’t run enough on pavement to really notice excessive wear because of it. Now, as for popping beads, I have done that 3 times since I installed these tires. Each times it happened, I was running 6-7 psi. I run them most of the time with 10 psi and haven’t popped a bead at that pressure. Even when I have popped a bead, we wrapped a ratchet strap around it and aired it back up without problems. Tires shops have some sealant that they use sometimes on leaky beads and we put that on one of my tires recently. It sorts acts like glue also, so this might be an option to help keep the bead from popping. Having said all that in defense of not needing tubes, I have actually been thinking about trying tubes as well; only because I like to air down to 4-6 psi with these super heavy duty tires. I get much better bulge and obstacle conformity at that pressure as compared to 10 psi. So, if you go with tubes, keep us posted here on how they perform. That’s some good info. The rig won’t see much highway use it’s primarily a hunting rig. Just don’t want the hastel of swapping tires in or after a mud hole. Just a thought... how is a tube going to keep the tire on the bead if it only has 6 psi in it?? It wouldn’t require a strap to rebead but won’t the tire still come off the bead?? Different strokes for different folks.....gettin' to old to try and change anybody's mind. One thing about having tubes is if you do have a problem when airing down all you have to do is get the weight off the tire and give it some air and it will reseat. No M-80's or either or what ever else stupid stuff you see some Russian guy doing on You tube to reseat a tire. I plan on carrying a Tube as part of my repair kit. Cause with a big boot patch and a tube you can get out of the woods even if you tear up a side wall pretty good. Without a tube if the tire comes off the bead just a little it will puke out all the air right away. With a tube you won't lose all your air. Yes I completely understand with no tube you lose all the air when the tire comes off the bead. A tube will definitely make it easier to rebead a tire. The postings are talking about running tubes as a safety to keep the tire (ON)the bead, and that the tubes will be insurance to keep the tire (ON) the bead. My point was a tube isn’t going to keep a tire (ON) the bead just makes it easier to rebead. At low air pressure there is alot better chance of spinning the tube valve stem out of the hole than unseating the bead. I forgot to add coming off the bead at low psi to my opinion. And spinning the valve stem out of the hole is another thing I hadn’t thought of. Great addition to the discussion rocnroll. My strongest opinion is you guys are awesome for having the coolest tires ever. I think for most people a tire "coming off the bead" is synonymous with "losing all of it's air". As Ben points out, that's not literally true, a tire can continue to hold air after it pops over the bead (especially if it has a tube). But that's not really a "failure." You can keep driving like that (not saying you should...). It's usually only seen as a failure if the tire loses air. A tubeless tire will do that any time it comes off the bead. A tube will do it if the wheel spins in the tire, tearing off the valve stem (as rocnroll brought up). Given the same tire / wheel combo and same (low) air pressure which of these failures is less likely? "Common knowledge" says the tube is less likely to cause a flat when running at low air pressure, but as Ben brings up, that may not be true, and some testing to determine the truth would be very interesting! Another question would be the severity of the failure. Tubeless you need to reseat the bead, which can be difficult if you don't have a GOOD source of air. With a tube it's easy to reseat the bead IF you catch it before the tire slips on the wheel. Otherwise you've destroyed a tube and you need to replace it. If you have tire irons and a poor air compressor this might be easier than reseating a tubeless tire, but if you don't have tire irons and do have a good compressor it's a lot harder. And it requires you to have a spare tube. More testing is clearly needed! For the record, I’ve been running my 7.00 x 16 NDTs with tubes at 8-9 psi on the trail for the last two years or so. In that time I have had one flat tire. The flat was due to tube failure around the valve stem. I don’t think I can blame this on low pressure tire spin. I believe it is more likely due to the fact that I have the tubes with the smaller diameter valve stem that don't quite fill up the hole in the wheel. I think Jpet runs his even lower at times. For the record, I’ve been running my 7.00 x 16 NDTs with tubes at 8-9 psi on the trail for the last two years or so. In that time I have had one flat tire. The flat was due to tube failure failure around the valve stem. I don’t think I can blame this on low pressure tire spin. I believe it is more likely due to the fact that I have the tubes with the smaller diameter valve stem that do t quite fill up the hole in the wheel. They do make little plastic adapter rings for the small valve stems in a large hole wheel. Probably should get some. Wonder who sells them?